Managing any company is not a walk in the park, but managing an online business requires a lot of additional analytics, organization and optimization. Every inch of data matters and every single thing counts on the way to success. There are many tools that could be included in your strategy of conquering the market – and today, we listed 6 of them. We focused on features that make your work easier – and therefore can help your business flourish. Communication can either help or kill your business, no matter what industry you’re in. And among a lot of great solutions, there’s one that is a star. ⭐ Slack may be a perfect solution for those who struggle with communicating within the company and thus are not able to deliver effects or simply have a part of a team working remotely from different parts of the world. 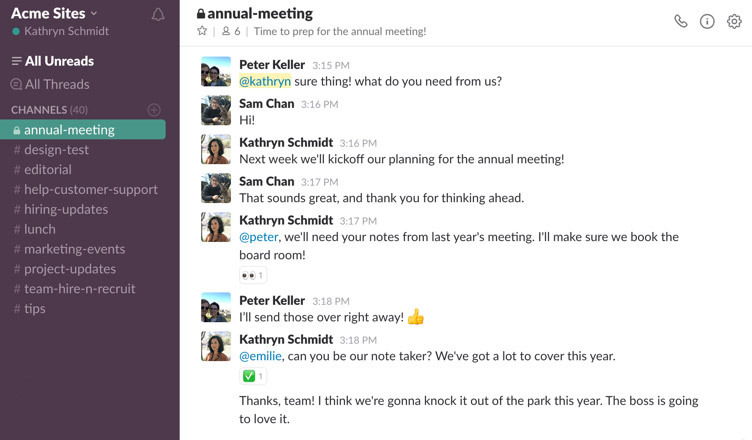 Don’t consider Slack as just a real-time messaging platform – it can do much more. You want to make an announcement for everyone on your team? No problem. You want to talk to someone privately? Direct messages await. You want to organize all the discussions of a specific aspect of your business? You can integrate Slack with many platforms you use on a daily basis – and we only mention Dropbox, Trello, Brand24, Google Drive – what gives you some opportunities to reduce the number of tabs in your browser and helps you actually focus on your work. Slack also allows you to share and archive your files in any conversation you handle (and easily find them by just a few clicks). No more drama with lost files and messages. To make things even better, Slack is FREE in Lite version – but definitely worth paying for when it boosts productivity. And we swear it does. All this magic can be made on desktop or within mobile app (for iOS and Android). The perfect organization is the key to success and even some little task for you may be a big thing for those responsible for the effect. Having all files and projects in one place saves a lot of time and effort, but also has some good impact on your peace of mind. TeamWork Projects can be a missing part of your recipe for a business everyone is jealous of. TeamWork is all about… teamwork. Organizing and assigning tasks as well as sharing files is easy even for those not-that-computer-literate. You assign, someone make it happen. You are assigned, you need to make it happen. No more forgetting about deadlines – notifications from TeamWork projects are really visible, both in the tool and via e-mail. I mean, if they were an animal , they would be this heavy-metal loving guy – loud and hard to miss ;). 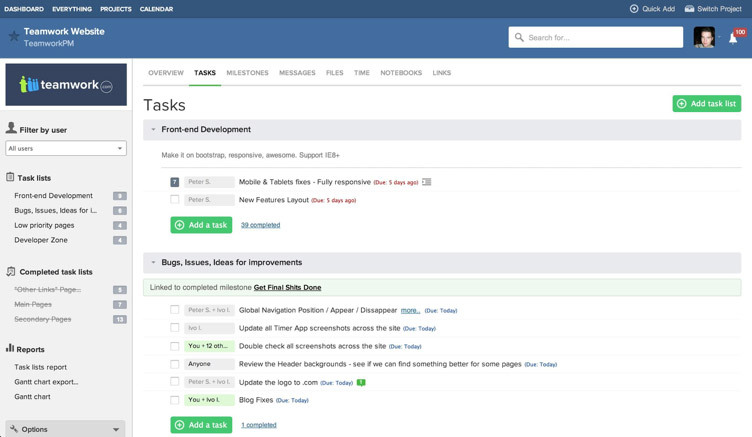 Task lists can sort your to-do’s into groups according to your own preferences, so giving priorities and details for each project is also easy. You will miss nothing, as Dashboard has no mercy for those who regard themselves as unorganized. Teamwork implements a few features that you may struggle to find in many well-known tools: setting up Risks (potential problems that employees can encounter during the project) may make everyone aware of some possible obstacles on the way, so they could get better prepared and try to avoid it. The tool can gather links in one place, so you could always come back to them (and don’t overload Tabs in your browser). How cool is that? Also, if what matters to you is tracking time on tasks and keeping deadlines, TeamWork allows you to do so and count every second (cause every second counts, right?) you spent on a particular task, thanks to timers. That feature can be crucial for a business which keeps track on calculations and needs to pay for some working hours to external companies. This is what in other tools, such like Asana, you’d gain by installing extensions, while here it is all in one place – both on a desktop and within a mobile app for iOS and Android. Brand24 offers a fresh and exciting way of getting ahead of the competition, whilst engaging directly with prospects and clients. The platform offers a variety of features that help you track and analyze mentions of your brand, the performance of your hashtags or understand your customers attitudes to a product or service which enables you to flag up problematic areas that require changes or further attention. What’s more, Brand24 allows you to find people that are looking online for a product or services you offer and jump into those conversations in real time to promote your brand! That is an excellent way to not only increase your brand awareness but also turn those prospects into loyal customers! Brand24 is also a great solution for tracking your competitors. Learning about the strengths and weaknesses of potential rivals is valuable information when trying to promote your business. It lets you give your customers informed, factual based information on the advantages of your product versus your competitors’. What would be any business without customers? Quite poor, we guess. And one of the low-hanging fruits to increase your customer base is to turn people that already visited your website into your clients. Programmatic advertising solutions, explained in the video above, allow you to advertise your company to interested industries using premium publishers sources, as leads come from trustworthy places. Same time, you can follow your campaign and sit back to relax. Albacross shows you leads you always missed, or you didn’t have a clue they exist. This tool gives you a lot of information (not only name and surname, but also job position or social profiles!) 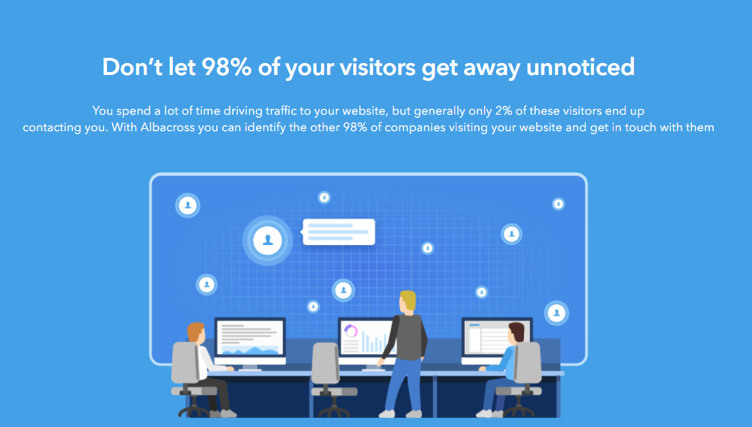 about your website visitors – so complex that you can see which company they represent and how to break the ice in the best possible way. The most difficult stage for many sales reps is done automatically – such a save of nerves, time, effort and money! Its omnichannel tracker analyzes data from various online sources (such as websites, social media, e-mails or even beacon interaction) in real time. In the module of Campaigns, creating promotions using mobile push messages or personalized e-mails is a pure pleasure, even if you haven’t done it before. Online businesses may benefit from these features by taking their customized communication to the next level and using marketing features they did not consider earlier – for instance those mentioned mobile push messages that are not widely known or used. Synerise can be a solution for those who failed with working on a simple CRM or Excel files, and for those who always wanted to make the most of their strategy. It also enables website and advert personalization with its own scoring algorithms – and helps with advanced and very accurate analytics with modules of Analytics, Prediction and Insights. You need data to pitch your strategy – and in Synerise they will cover you with data as much as snow covers Antarctica. 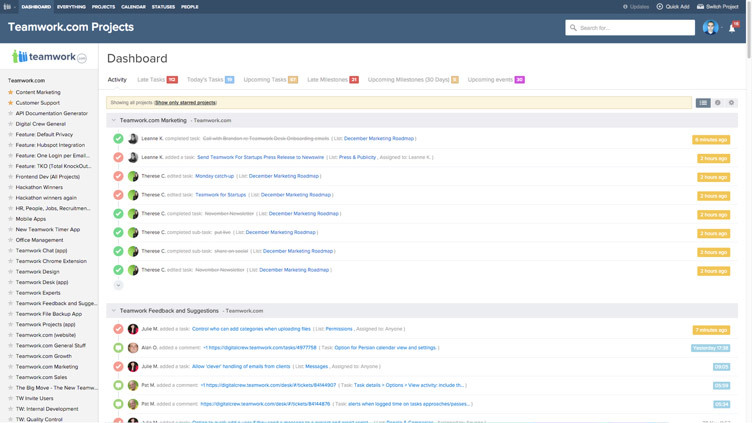 Did we mention you can also use it for managing tasks and messaging? Ta-dam. So, if you’re stuck with your marketing strategy or you have some data, but you’re not sure what to do with “all these numbers”, Synerise can lead you to the right direction and show the best possible methods to make your business grow. You can also integrate Synerise with some third party apps to achieve even better results and improve customer experience. It’s all about making people love your brand and be in touch. Every online company needs a good CRM – and Nimble could turn out to be what you need. A good CRM helps you save time and doesn’t take it to configure all of the settings. By automated syncing your team’s everyday tools (such as Office 365 contacts, calendars, Google Apps or other social or e-mail interactions) you are able to get the most precise information which is ready to go and be passed further to your sales representatives (who will love you for shortening their paths to get to the customer). And if you have no clue how to find someone you want to collaborate with, Advanced Search will do the work for you. 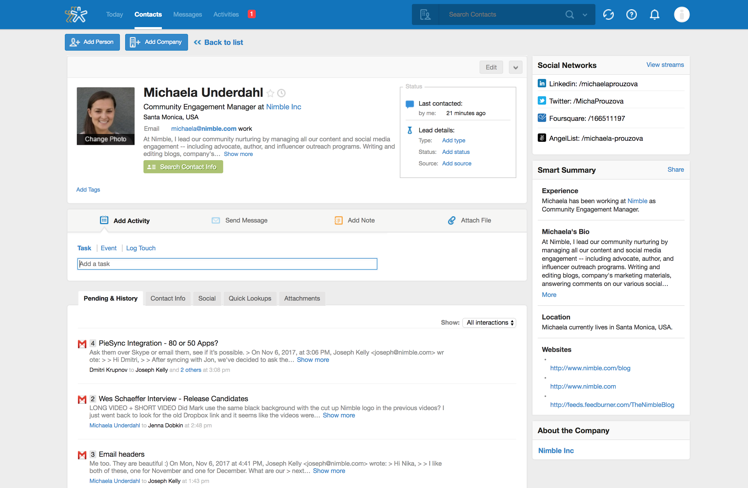 Nimble is the CRM that updates itself and makes it easier for you to take the desired action – it adds some social links (even Instagram feed) and missing information to leads to help them convert into deals smoothly. CRM, even if located online, has an impact on the offline world – by helping out with managing events and delegating your staff, you can sleep peacefully. Thanks to a very friendly user panel everyone could handle this kind of research. By seeing all interactions and personal details, making contact is easier and more effective. Nimble is far more than only a CRM – another hidden gem is that it actually allows you to schedule your social media posts as well and stay connected to your network! Running an online business is not a thing that has the start and the end – it is a constant process that needs your care all the time. The weakest link can ruin the whole chain, and a thing you neglected the most, can be a killer for your business. Don’t let it happen and try adding those apps to your toolbox in 2018 to manage your company better and increase your sales! Good luck!